With the emergence of former Vice President, Atiku Abubakar, as standard bearer of the People’s Democratic Party (PDP), President Muhammadu Buhari’s strategists will now be saddled with fresh challenges in the North, writes Igho Akeregha, Head, Northern Region. The dice was hard to predict. 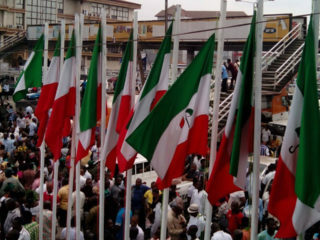 As more aspirants picked the expression of interest forms in the presidential primaries of the opposition People’s Democratic Party (PDP), the camp of the ruling All Progressives Congress (APC) watched with keen interest the final list of 12 heavyweights the PDP paraded. The aspirants were Senate President, Bukola Saraki, ex Presidential aide, Tanimu Turaki, former Plateau state Governor, Jonah Jang, former Kano state Governor, Rabi’u Musa Kankwaso, former Vice President, Atiku Abubakar, former Speaker of the House of Representatives and current Governor of Sokoto state, Aminu Tambuwal, former Kaduna state Governor, Ahmed Makarfi, Governor of Gombe state, Ibrahim Dankwabo, Dr. Datti Ahmed, former Senate President, David Mark, former Jigawa state Governor, Sule Lamido and former Governor Attahiru Bafarawa. To political pundits, anxiety in the camp of APC is to be expected. These names are not only political titans in Nigeria but are all also from the North the same region as President Buhari. 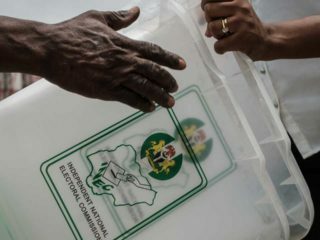 The plethora of aspirants who participated in the October 7, 2018 primaries in Port Harcourt, the Rivers State capital, many believe, created a more exciting democratic space that provided opportunity for aspirants to ventilate their ambition and test their popularity in a free, fair and transparent contest. The PDP primaries threw a direct challenge to the APC. 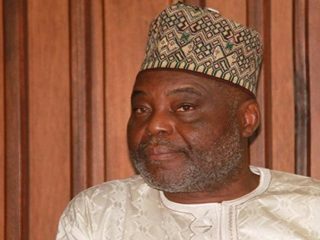 According to a Warri-based lawyer, Otome Adamidenyo, what the ruling party did on Saturday October 6, 2018, at the Eagle Square Abuja and labelled it a presidential primary contest that returned unopposed President Muhammadu Buhari, as sole candidate to stand for the presidential elections next year February can only be a charade and mockery of democracy. This, another observer noted, may have precipitated suppressed internal rumblings among APC members who are interested in contesting the presidency but are wary of swimming against the popular tide within the party which largely favour a solo race for the president. 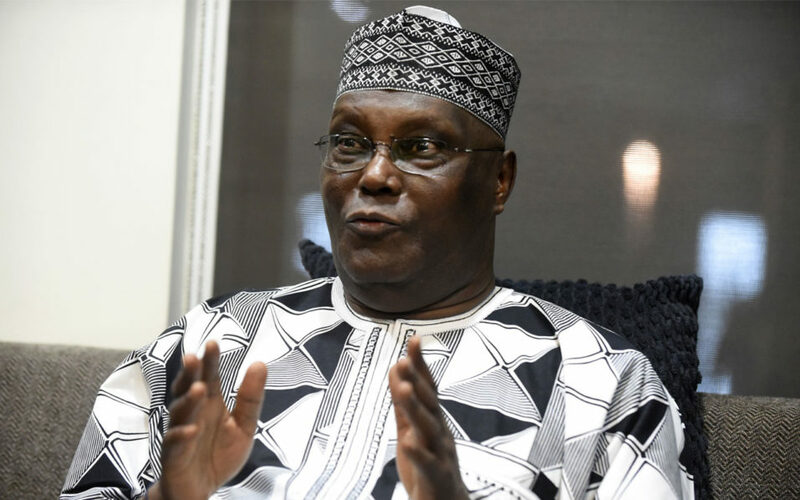 In the North, generally seen as President Buhari’s stronghold, the emergence of Atiku may have instantly altered the political calculation. Although Buhari still remains very popular in the region, early reactions to Atiku’s emergence as PDP flag bearer suggests that the 2019 presidential race will be a keen contest between the two. At 1205 hours yesterday after Atiku was declared presidential candidate of the PDP by Governor Ifeanyi Okowa of Delta State, who was chairman of the Convention Committee, the social media came alive with commentaries praising and lampooning the PDP candidate. The North was mostly quiet as most of the reactions came from the South. The Guardian investigation in some key Northern states, however, revealed that there is already a huge realignment of strategies by the President’s political strategists. While Buhari comes from Katsina State in the North East, Atiku hails from Adamawa State in the North West. In the 2015 presidential elections that saw Buhari defeating then incumbent, former President Goodluck Jonathan of PDP, Buhari won in all the Northern states, with most ballots coming from Kano State. But the current worry for the President’s handlers is how to deal with a rapidly changing political permutation, particularly a situation where Atiku’s challengers in the PDP have pledged their support and willingness to work with him to wrestle power from the APC. There are those who believe that the battle ahead for APC may indeed be very tough. They hinge their argument on the fact that the 11 other aspirants who lost to Atiku are from the North. Some of them including Saraki, Tambuwal, Kwankaso, Atiku and others dumped PDP a few months to the 2015 general elections and this singular move became the death knell for PDP. The contest in Kano State, where Buhari strategists hope to garner a bulk of the votes next year, is already in jeopardy. Alhaji Sule Gombi, who sells fabrics in the popular Kano market, told The Guardian on phone that he is a member of the Kwankwasiyya Movement, loyal to Rabiu Kwankwaso. He maintains that Buhari may not get the full support of Kano voters if Kwankwaso opts to work with Atiku in the state. Analysts also predict that other states including Adamawa, Taraba, Sokoto, Kaduna, Jigawa, Gombe, Borno and others may witness unexpected surprises next year if PDP stays united. For states in the middle belt region, including Benue, Kwara, Plateau, Nasarawa, Kogi and Niger, the incidents of deadly clashes between herders and farmers may count as factors that could determine where voters will eventually pitch their tents. The influence of former Senate President, David Mark, in Benue State, who lost to Atiku and Saraki in Kwara, some argue, are factors that can swing the political pendulum in favour of PDP. With barely four months to the crucial general elections, the rapidity, dynamics and unpredictability of politics cannot be ignored by the president’s supporters in the North, who are now faced with an inevitable challenge.